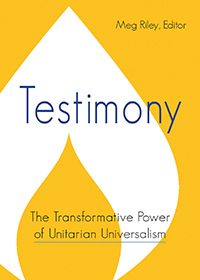 Social justice is at the heart of the UU spiritual path. Individual CVUUS members are active in a wide range of justice work. We call this work Radical Love. Contact leaders Piper Harrell and Steve Maier if you would like to start or join a project. As a congregation, here are ones in which we are involved. Share the Donation Plate: We share half of the donations collected during each Sunday service with other organizations. Kids for Kids: Our Religious Exploration classes participate in service projects and raise money for organizations that help children in need. Led by Jessica Danyow. UU United Nations Office: We seek a liaison with the UUA’s office at the United Nations, which works for UU values around the world. HOPE (Helping Opvercome Poverty’s Effects): Donate food to HOPE. Look for the HOPE shopping cart in our sanctuary lobby near the welcome table. Ask Mary Ann Deverell what’s needed. WomenSafe: Donate items to WomenSafe! Look for the WomenSafe heart-wrapped box in our sanctuary lobby near the welcome table. WomenSafe seeks toiletries, baby dolls with bottles, notebooks, granola bars (or other non-perishable snacks), towels /washcloths/ stuffed animals (new or gently used), gift certificates to local hair salons, restaurants, laundromats, and grocery stores. Ask Dottie Nelson and Kerri D-H if anything else is needed. Community Lunches: Sue Grigg and Mary Louise Bright make up our longstanding CVUUS community lunch leaders working with other CVUUS volunteers who donate food every third Tuesday at Charter House. Ask them if they need any help with food prep (10-11 am), serving (11:15-12:15) or cleanup (12-1 pm). Community Suppers: CVUUS hosts community supper at the Middlebury Congregational Church at least once a year on Friday, usually in early Dec. Sometimes its our Youth Group and sometimes others. Stay posted for opportunities to help. Ask Kathryn Schloff what’s needed. Habitat for Humanity: Bob House and Dale Birdsall lead a significant group of CVUUS people who have shown interest in Habitat for Humanity. We’ve just started our next home in Cornwall and are looking for volunteers. This spring’s construction begins Wednesday, 4/12 and 4/15 will be our first Saturday opportunity. We have a group that works regularly on Wednesday. Most other groups find it more convenient to work on an occasional Saturday that fits their schedule. Contact Bob at hfhmiddvolunteer@gmail.com. For more, see visit www.addisonhabitat.org. Indivisible/Middlebury Huddle Groups: Kate Gridley, Barb Karle, Bethany Barry are involved in groups igniting political action in response to the recent election. Migrant Ally Group: Lise Anderson, Alan Moore, Martha Fulda. Catch up at Addison County Migrant Support. Refugee Resettlement: Contact Abi Sessions to be added to Middlebury Area Refugee Support listserve.